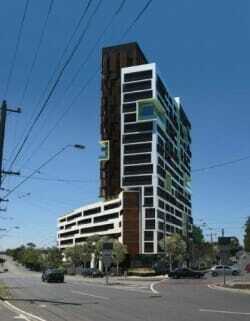 The development of this prominent location involves the approval of a 21-storey tower on the corner site. Tower to the central north of the site. 219 residential apartments with an average size of 55sqm. 92 serviced apartments with an average size of 40sqm. Private gardens to all levels. Podium and tower rooftop gardens. High level of energy sustainable design.